Vodafone Flying Fijians Coach John McKee has named his starting team for the match against Samoa. Peni Ravai, Sunia Koto and Manasa Saulo are in the front row, while Api Ratuniyarawa and will be at locks Leone Nakarawa. Peceli Yato gets his first ever start for the side at flanker along with skipper Akapusi Qera and Sakiusa Matadigo, completing the forwards. Nemia Kenatale returns to halfback, Ben Volavola, is at flyhalf, while Gabiriele Lovobalavu and Vereniki Goneva are in the midfield, Asaeli Tikoirotuma and Waisea Nayacalevu along with Metuisela Talebula complete the back three. 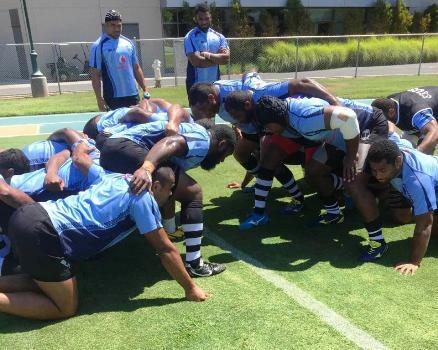 The Flying Fijians will face Samoa in the second round of the PNC at 12pm in Sacramento, California, USA.